In 1660, Evliya Çelebi, a chronicler of the Ottoman Empire, wrote an in-depth account on the appearance of the fortress while traveling through countries occupied by the Ottoman Empire:“ It is a fortified city, a very strong and sturdy fortress with double walls. 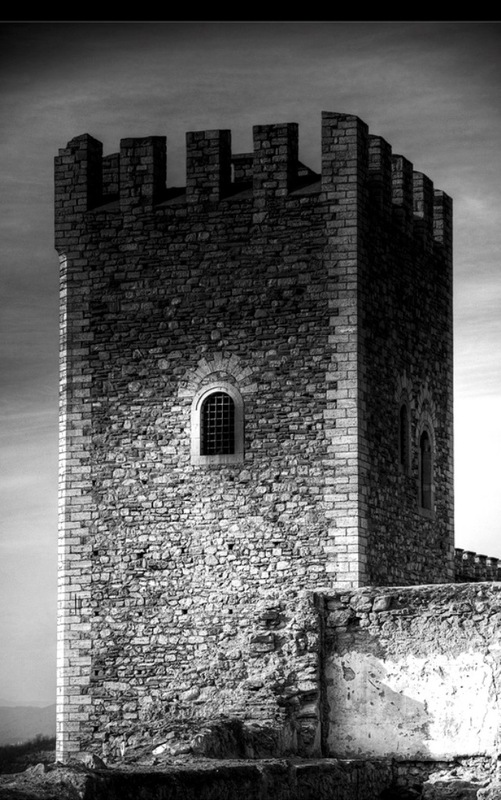 The city gate and the walls are built from chipped stone that shines as if it were polished. One cannot see so much refinement and art in the construction of any other city. The city lies in the middle of Skopje. It is a tall city, of a shedadovska construction and five-sided shape. The walls, that surround the city from all sides, reach the height of around fifty arshini. The city is protected by seventy bastions and three demir gates on its southeast side, and there are many guards in the entrance hall. The door and walls of the entrance hall are decorated with different arms and tools needed for the arms.There is no site or location that can dominate the city. It lies on tall rocks, so that one can see the whole plain. 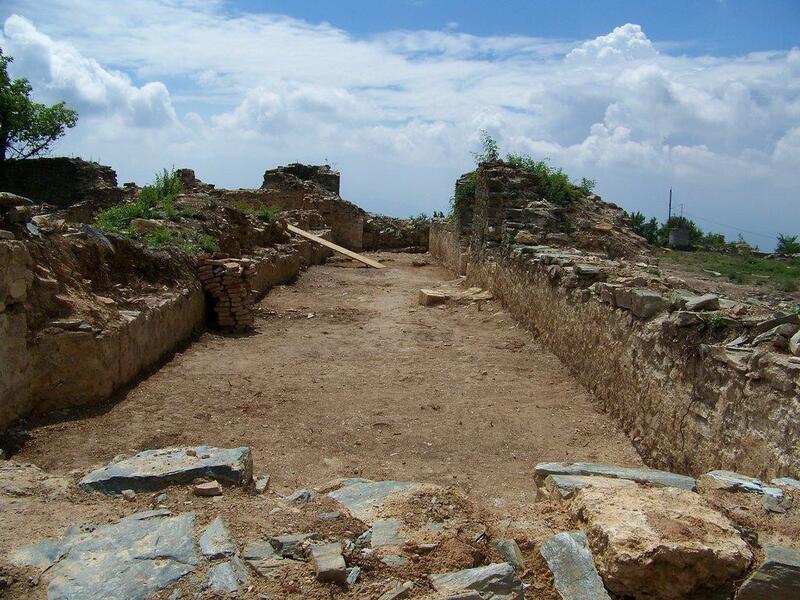 In late 2006 and early 2007, research and excavation of the Skopje Fortress funded by the Macedonian government had finally commenced. Researchers discovered woodwind instruments and clay ornaments dating as far back as 3000 BC. Excavation of the main fortress also revealed houses below the fortress' visible level. 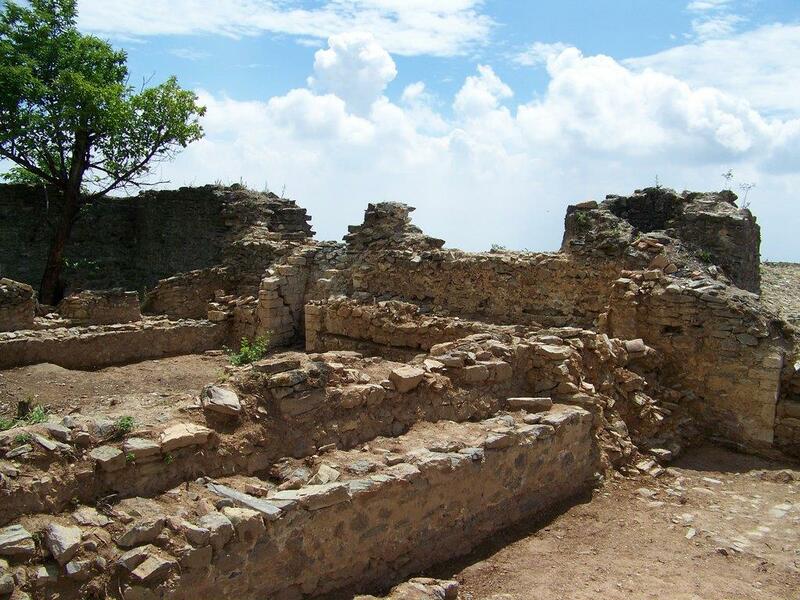 The discoveries are believed to have belonged to inhabitants of Skupi on which the fortress was built. Archeological excavations continued in 2009. The oldest remains of human activity on the Skopje Kale are directly associated to archaeological deposit of the area, which was formed through long geological processes, on the base of sedimentary sandbar. First of all, thick layer of river alluvium was formed, or more precisely, a type of a pebble stone river terrace was created. Through washing a layer of sand clay with a sedimentary base was deposited on it. This clay layer, somewhere red, somewhere yellow, appears with a thickness se greater than one meter. Precisely this sand clay reveals the various dug in items, such as the remains of the initial – oldest settlement from the Copper Age-Eneolithic Age or from the 4 millennium before Christ. These are mud huts or semi-mud huts, functioning as habitats, and then there are cult objects or waste or storage pits. Their inventory is usual for this type of objects and is consisted of numerous forms, such as ceramic pots for various use, cult items, clay sculptures, but also tools and cutters made of bone, stone and flint. Their intensity, disposition and organization speak of a large and economically strong settlement which encompassed the entire area of the Kale and the first eastern terraces. All points researched as low as the clay deposit without exception reveal Eneolithic finds, always in immediate relation to the deposit. The most well and most completely preserved such remnants were discovered Sectors 3A and 7, or where there was a lower intensity of space utilization in the younger ages. In the layer of yellow sand clay in Sector 7, parts of 4 semi-mud huts were discovered. The situation is similar in Sector 3A as well - the only wider and more appropriate space for prehistoric research which was not significantly covered by the later buildings. This is where 2 subsequent Eneolithic phases were found. In the older phase this space was used as cult section of the settlement or area for satisfaction of the religious needs of the population in the early Copper Age. In the areas within a circular border various ritual and religious activities were performed with sacrificial offerings and their leaving there, or to be more precise, gathering of their residues in some sort of cult pits, vertically dug into the clay subsoil. These objects had a section above the surface made of skeleton construction with rammed in poles and a lower, vertically dug in section in the shape and with the content of a cult pit. In the following phase, the same area supported houses with rectangular towards elliptic foundation, that is, with a floor dug into the clay subsoil at about 20 cm. The section above the ground had a tent shape and roof on two posts. Throughout the following period of the Bronze Age or in the course of the III and II millennium before Christ, the prehistoric living resumed, however, on a smaller area, limited mainly to the north-eastern sections of the Kale. Consequently most of the Bronze Age layers were discovered only in Sector 7. These document, beside the numerous mobile finds, remains of kilns for ceramics from the early Bronze Age, parts of housing objects from the middle Bronze Age and a house from the late Bronze Age. All of these speak of continuous development of a local culture in which the general Balkan values were observed, the ones from the so-called along-the-Danube-Balkan cultural complex. Still, towards the end of the Bronze Age there is an evident presence of elements from the south (mostly in the ceramics) which, just as the entire Vardar valley area, culture-wise turns this area towards the Aegean south. The youngest prehistoric settlement, the one from the Iron Age (first half of the first millennium before Christ) meant continuation of the life; however it was now focused on a new position, mainly in the south-eastern sections of the Kale. Although taking up a very small area, there were remains of the common prehistoric architecture or houses on rectangular foundation, built with skeleton construction made of poles and adobe. Their inventory mainly includes ceramics, common for the Iron-Age culture in Macedonia. Some more intense remains of the life in the following centuries from the second half of the first millennium before Christ have not been found, yet certain finds confirm given activities on the Kale during the IV century before Christ. From the period of existence of the well-known established settlements in the vicinity of Skopje (Gradiste-Nerezi, Zhdanec, Gradiste-Brazda, Gradiste-Bucinci, Isar-Studenicani, Kale-Varvara and other), which reveal strong early Antic manifestations from the Paionic-Macedonian cultural circle, the Skopje Kale reveals remains of individual cult-ritual activities. Accordingly, in Sector 7 a cult area – ritual pit with remains from animal offerings, ritual meals, ceramics typical for the IV century before Christ in the vicinity of Skopje, was revealed as well a find of a bronze coin of Alexander III, the oldest coin discovered on the Kale so far. The following settlement remains belong to the Middle Ages city. 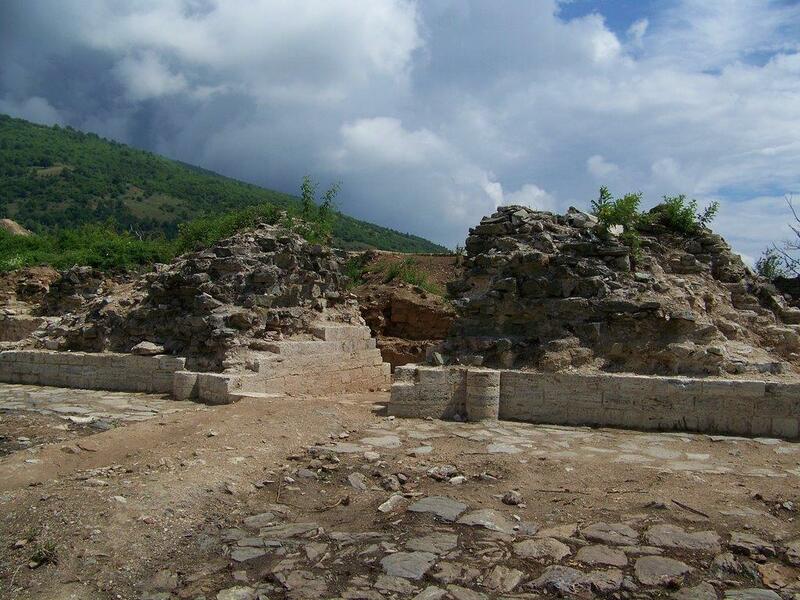 At the present stage of research there is an open dilemma as regards the possible connection of the monumental, so-called cyclopic wall to the major building activities in the vicinity of Skopje during the great king Justinian or in the VI century. This wall, built from great stone blocks, coated from within with strong mortar and 2.80-4.20 m wide, represents a unique building-work sample on the Balkans. Nevertheless, without further research of individual indicative positions in order to resolve this question, such as is the position on the eastern terrace, we are left to merely presume the precise time of the initial erection of the monumental wall, as well as the actual role and significance of the Kale in the time of Justinian. The researched points on the Kale have not revealed settlements or more evident cultural manifestations from the VI century so far. However, certain ceramic finds or the several coins leave it open for further research in this direction and the discovery of more remains from the possible settlement dated from the time of Justinian. 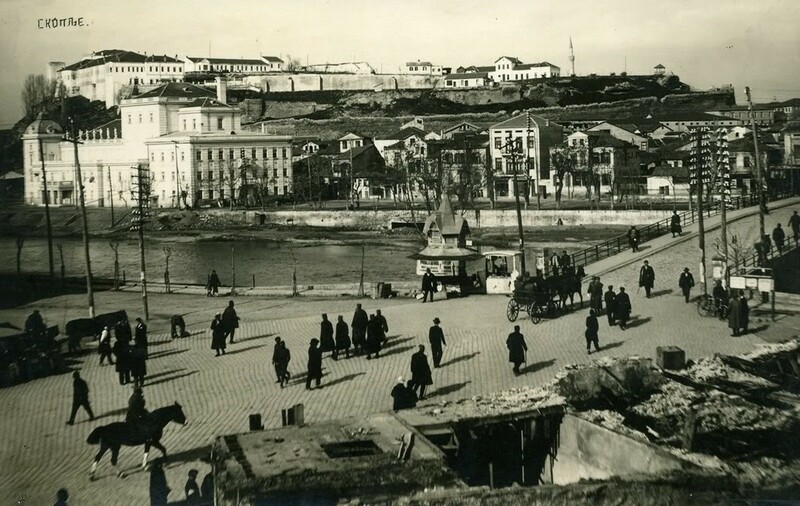 Even so, the uninterrupted and turbulent historic development into a real urban centre or Medieval Skopje begins somewhere towards the end of the X century or in the time of Samuil and persists nowadays. 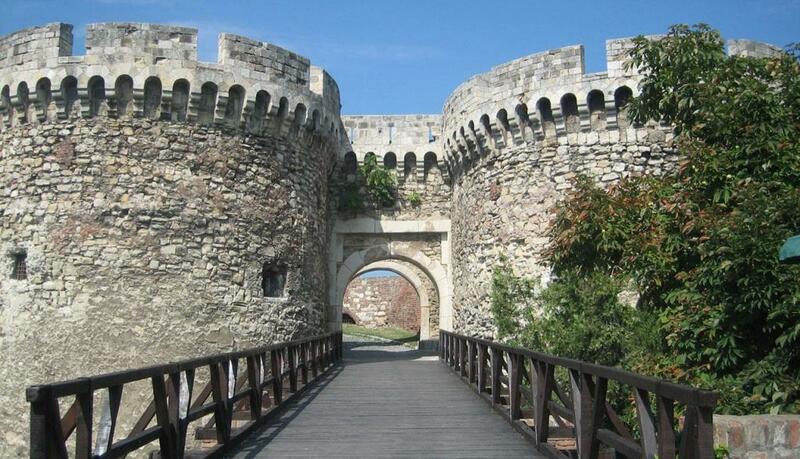 At that time, under the rule of Samuil, the Skopje Kale was protected by solidly built walls, which completely surround the Upper city, forming, in many respects, a unique fortification system, built according to the highest criteria and building techniques at the time. The numerous discovered coins dated from between the X and XI century, the burials immediately on the internal side of the southern wall, war hatchets and arrows, ceramics and other smaller finds from the same period also imply that the Kael at the time was probably a great military stronghold. 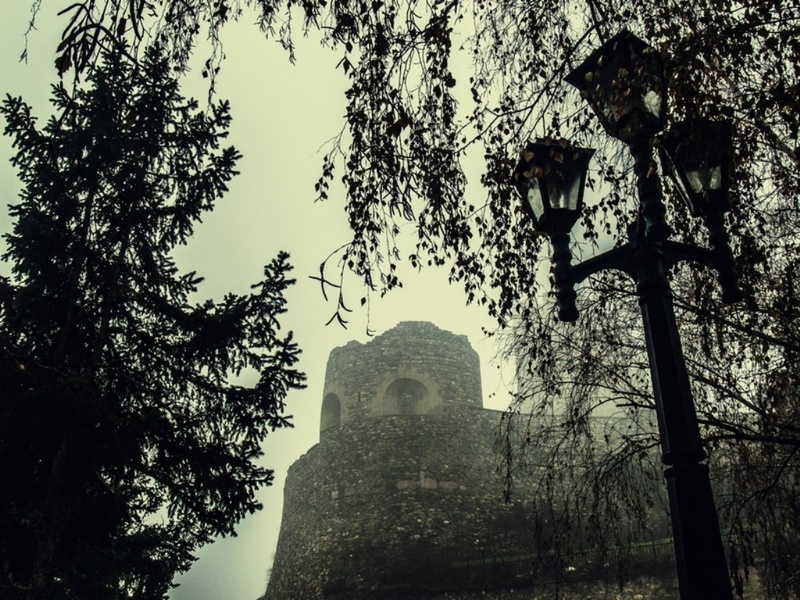 The fortress was strategically set into the centre of Samuil’s state, where from it kept contact with Prilep, Bitola, Prespa, Ohrid and other cities in the south, with Prizren and the Adriatic cities in the west, with Belgrade and Vidin in the north and with Sredetz (Sofia) in the east. On the researched points, in sectors 4 and 5, along the southern wall, remains were found of numerous wooden constructions with waste pits, hearths, kilns and remains of metalwork. Most of these were most probably barracks for the soldiers, warehouses, blacksmiths’ workshops for weapon making and repairing, all in some sort of relation to the wall from the interior. 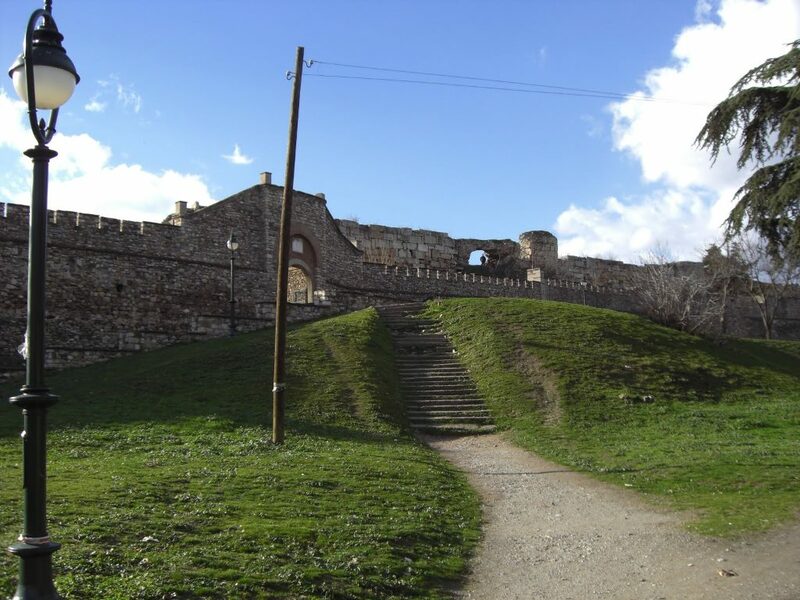 In Sector 5, for the same city, a southern entrance to the fortress was revealed with all the associated elements, which would be used and renewed on several occasions in the following centuries as a main entrance both to the later medieval and to the early Ottoman fortress. In continuation of the entrance section to the east, remains were found from a cobblestone surface - road which led along the internal part of the southern wall to the higher parts of the terrain. The discovered ecclesiastic, stone decorations in this part of the terrain point out that somewhere in this parts (in the still unexplored sections), in the X-XI century, there was at least one church.All remains from this, hypothetically speaking, "Samuil’s" phase are supported by coin finds of so-called anonymous follies, as well as of the emperors Basil II, Nikephoros III and Michael VII, all dated from the X and XI century, mostly discovered in their original position. 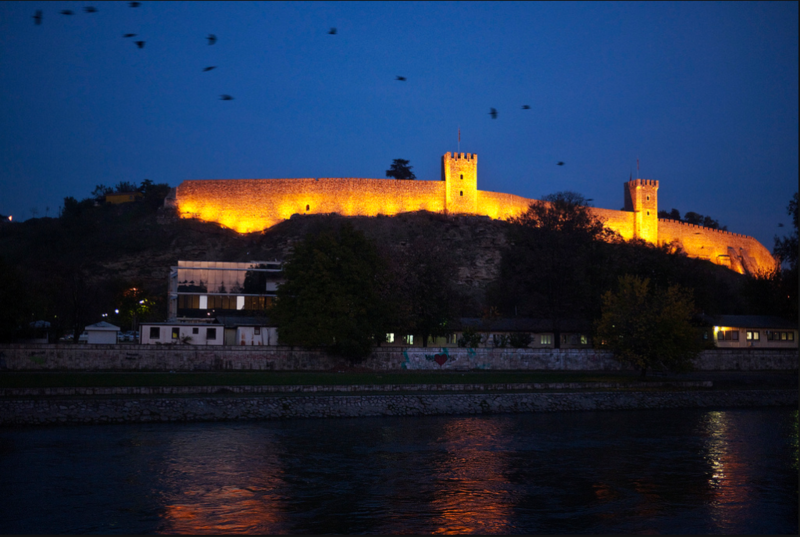 All of this neatly documents the notable place and the great historical, economic and political significance of the Skopje Fortress during the age of king Samuil and his successors. Towards the end of the XI century (from 1081-88 and again in 1097) Skopje is held by the Normans (Vikings) who previously occupied the Byzantine southern Italy from whence they spread across the Balkans. Accordingly, general Puntesy with 200 hoplites took over first of all the cities in present day’s Southern Albania and through Ohrid and Polog arrived in Skopje, which was in their hands from 1081 until 1088. The Normans were known producers of high-quality weapons made of good steel.Parts of workshops and blacksmiths dated from this period have been found near the south-eastern tower of the Kale, in Sector 10, with iron and chrome slag, as well as parts of a Viking crossbow. This was a fierce weapon in Europe of that day and it was used only by the Vikings, hence the find from the Skopje Fortress is the best confirmation of the presence of the Normans in Skopje. During the rule of the Komnenos dynasty throughout the entire XII century, peace and wellbeing ruled in the Byzantine Empire. Based on the finds of stone pieces from iconostasis decorations at least 2 churches were erected on the Skopje Fortress at that time. The other finds in the layers from the XII and XIII century illustrate Skopje as a real centre, and economic focus of the wider Balkan region.At the Skopje Fortress there are numerous coins from the Komnenos, Angelos and Doukas dynasties and in a proportion correlating to the economic and political circumstances in the empire.During this period the kale was home and workplace to several metalwork craftsmen whose workshops are scattered along the city walls. Just as important, if not more so, is the work of numerous potters. Besides the daily kitchen and storing ceramics, their top products were the luxurious dining dishes decorated by painting, engraving and glazing. Some of the plates found are real works of art, and the entire collection of this ceramic is one of the most numerous and most valuable on the Balkans. All of these products were exported throughout the wider mid-Balkan region. Based on the historical sources from 1204-1264 this is when the Byzantine Empire was crushed and divided into several smaller states for the first time. Skopje is fought for by: Bulgarians, Serbians, Epirean, the feudal lords from Prosek and Thessalonica, the tzars from Nicene. 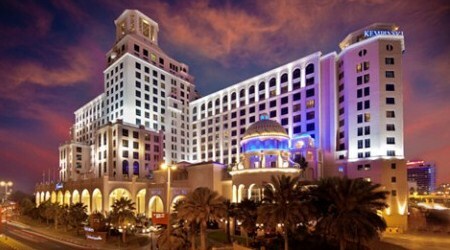 The economic fall of the empire is reflected in the quality of the money and the other products. However life in Skopje’s Upper City continued with undiminished intensity, whereupon it is good to remark that Lower City was fortified by walls.Besides the presence of money from these newly created principalities, the Skopje Fortress holds as well coins of the medieval Bulgarian state of Ivan II Asen (1218-1241) and of Serbia of Stefan Urosh II Milutin (1282-1321). Nevertheless of all newly created political entities the most frequent are the coins of the Palaiologos dynasty, and by far the most present are the ones of Michael VIII (1259-1282). The historical data imply that from end of the XIII until the end of the XIV century Skopje was held by the Serbians. The Serbian administration came in the stead of the Byzantine clerks, and king Stefan Dushan moved the seat of the throne from Prizren to Skopje, where he was crowned king and issued the famous Code. The written sources inform us that the Upper City (Kale) was with densely set buildings and there were at least 4 churches. 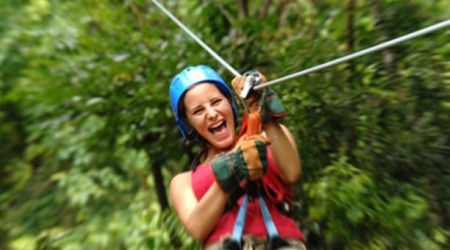 The results from our research abundantly documented this image. The city walls of the Kale bile renewed and they surrounded a completely new urban area which slightly expanded the city in the north-western section. The southern entrance gate used the old passage, but the threshold was erected for about 1 m higher, and on the eastern side a great square tower was constructed in response to the western tower. Remains from spacious public building made of stone, or of stone and brick, and techniques common for that age have been discovered at several of the examined points – in Sectors 1, 4, 5 and 10. The city walls of the Kale bile renewed and they surrounded a completely new urban area which slightly expanded the city in the north-western section. The southern entrance gate used the old passage, but the threshold was erected for about 1 m higher, and on the eastern side a great square tower was constructed in response to the western tower. Remains from spacious public building made of stone, or of stone and brick, and techniques common for that age have been discovered at several of the examined points – in Sectors 1, 4, 5 and 10. The highest and most dominant section of the Kale, in the south-eastern part of the city, or in Sector 3, a church has been discovered with a cross-like interior and with a necropolis surrounding it. Among other things, some of the preserved items include pieces from frescos (with stylistic-artistic characteristics from the end of the XIII-XIV century), a silver-coated chalice hidden in the crypt north of the church and a gold-coated silver vessel decorated with almandine, enamel and large Greek inscription around it (found earlier, in the southern base of the church). Bronze and silver jewelry was found in the tombs around the church, as well as numerous coins dated from the XIII and XIV century, as well as a secondary tombstone belonging to some nobleman Vlatko, with old-Slavonic inscription, dating from 1281. Within the frames of the Skopje Fortress, based on the written sources, there were other churches as well. With the exploration of the area near the southern city wall, not far from the southern gate numerous pieces of wall-frescos from another church were dug out, as well as individual finds of crosses. In the same area (Sector 9) were most of the finds of leaden seals which implies the past existence of an ecclesiastical administrative centre somewhere in the vicinity, in the yet to be researched areas of the terrain. From the discovered coins dated from this time several samples are of Stefan Urosh II Milutin (1282-1321) and Stefan Dushan (1331-1355). The period of the late XIV and XV century, being a period of the so-called autonomous medieval rulers in Macedonia is manifested only through one coin of king Volkashin (1365-1371). 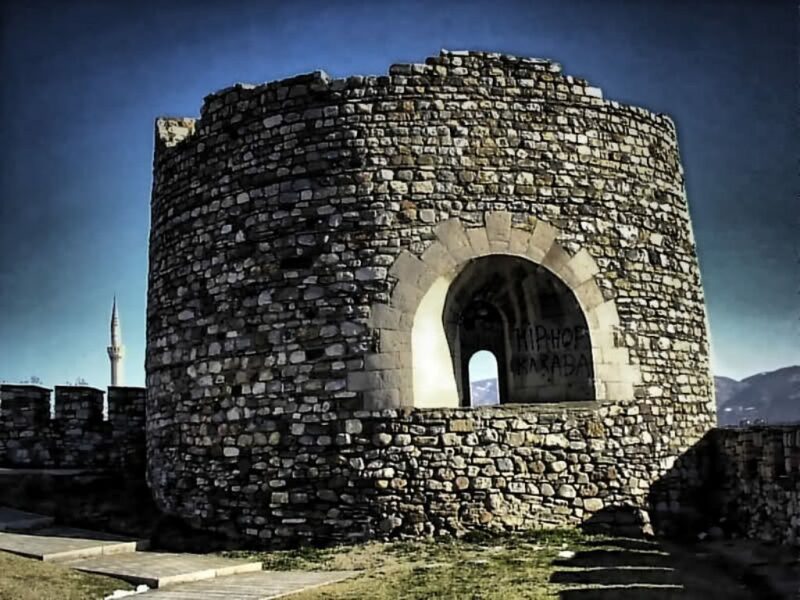 In 1391 Yigit-bey conquered Skopje. Since the people of Skopje fiercely resisted, the Ottomans ravaged the city and pars of the city walls. After these events, the Kale acquired a new character and was used as military barracks. 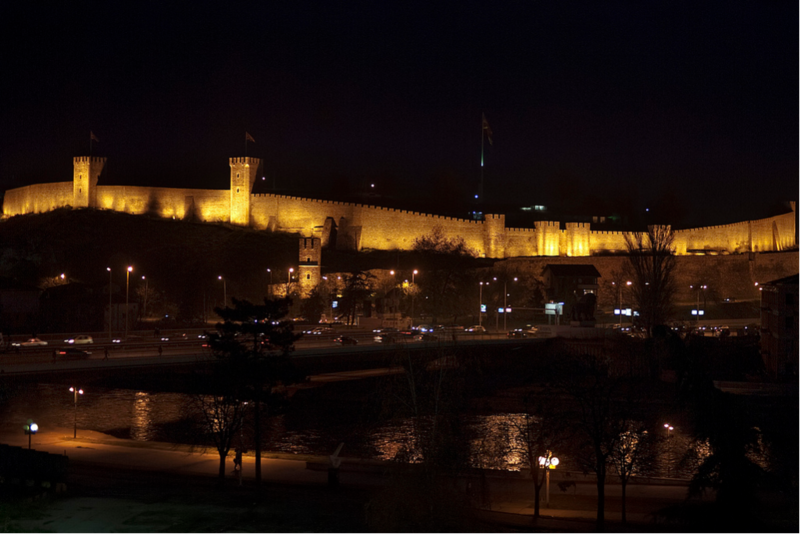 With the research along the southern wall a renewal of the crown of the medieval wall was discovered, as well as numerous foundations of stone buildings, warehouses, workshops and barracks, most probably for the needs of the Ottoman military squad. After the demolition of the southern gate, the same was fully reconstructed for the new military needs. The two lateral towers were generally expanded and erected in the upper sections, and the space between them was closed with a new wall. A new passage was set, half-way narrowed with a threshold erected at about 2.50 m higher than the previous one. Because of the amassed debris layer and the embankment from within, the street along the wall was enclosed by wall-railing and a new main entrance street which leads straight to the top, to the higher parts, in the yet unexplored area of the terrain. The inventory in the discovered constructions from this time document activities common for a fortress of this character.The border of the Ottoman Empire was soon moved far to the north and the Skopje Fortress lost its military-strategic significance, except for being barracks area for a small military crew.In the north-eastern part of the fortress numerous pits dating from this period were found which were used for extracting clay, and later as waste pits filled with the waste and refuse from the near craftworks workshops. The items found in these are small items for home use, animal bones, broken iron tools, slag from metal melting, candlesticks, and most of all pieces from broken, semi-fired or misshaped jugs, plates, vases, and other pots, as well as decorative glazed tiles used for building the fireplaces.The sultan Bayezid I (1389-1402) and Mehmed II (1444-1481) are the first Ottoman rulers confirmed by numismatic evidence. 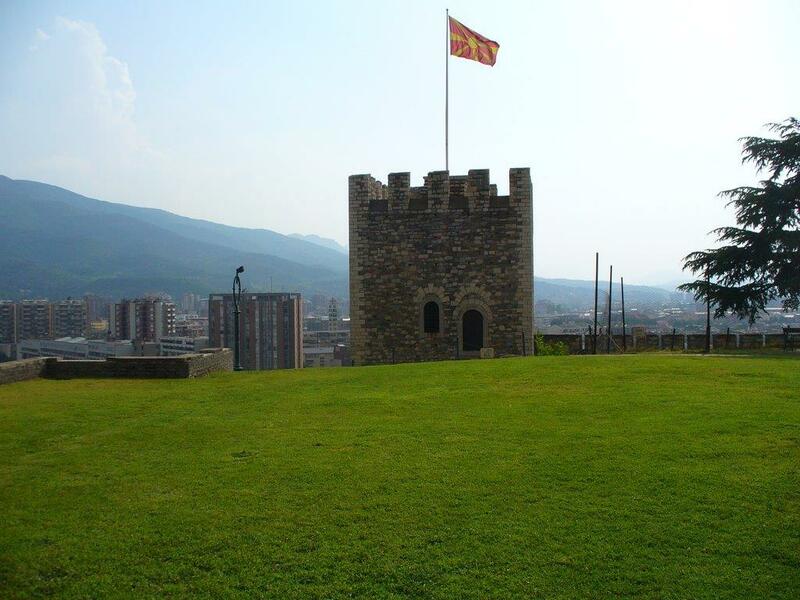 However, through the following centuries of ottoman dominion there is a strongly expressed lack of coin circulation on the Skopje Fortress. Obviously these had no significant economic, trade or commercial value. In the autumn of 1689 the Austrian army led by Piccolomini took over Skopje. 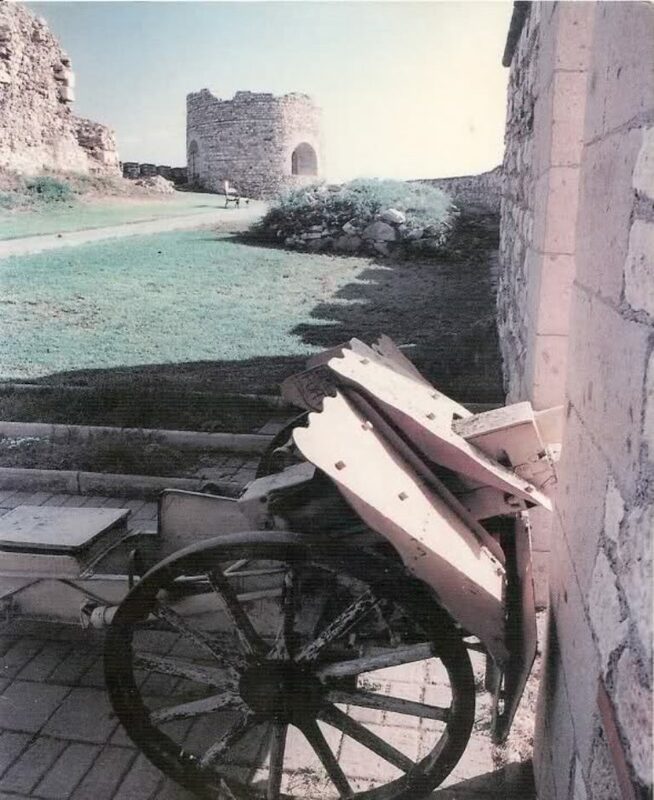 The military report sent to the emperor in Vienna says that the Skopje Fortress was semi-demolished, poorly defended with 12 neglected towers and weak defense trench (to the east). It took only 400 horsemen to conquer the fortress in one assault. This report is quite opposite of the poetic account left by Evlia Celebi from the same period. The archaeological finds, discovered by means of our research confirm the Piccolomini report. An inscription built into the eastern wall, dating from 1700, speaks of a great renewal of the Kale. The research led us to the conclusion that this happened indeed. 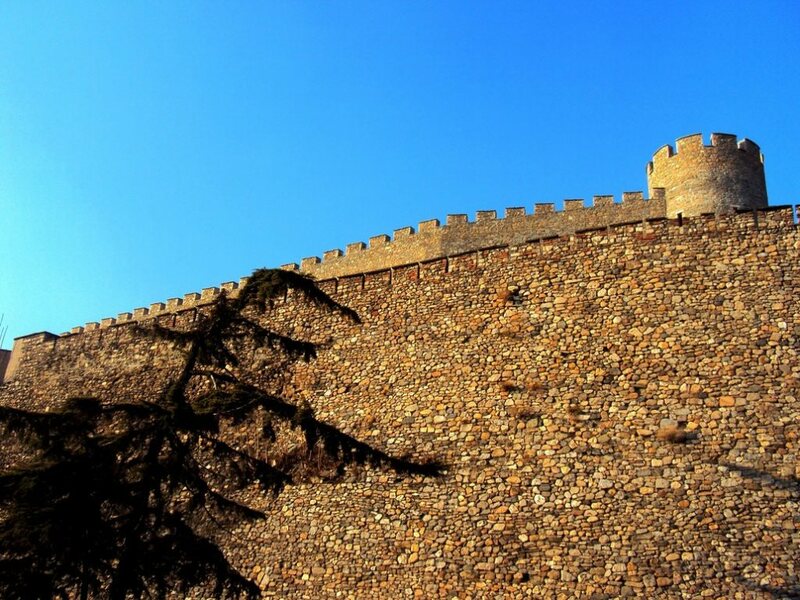 Among other things, the greatest undertaking was the building of the great external wall. In front of the front eastern and southern wall the new surrounding wall, or fore-wall was fully built, with new monumental towers and embrasures. 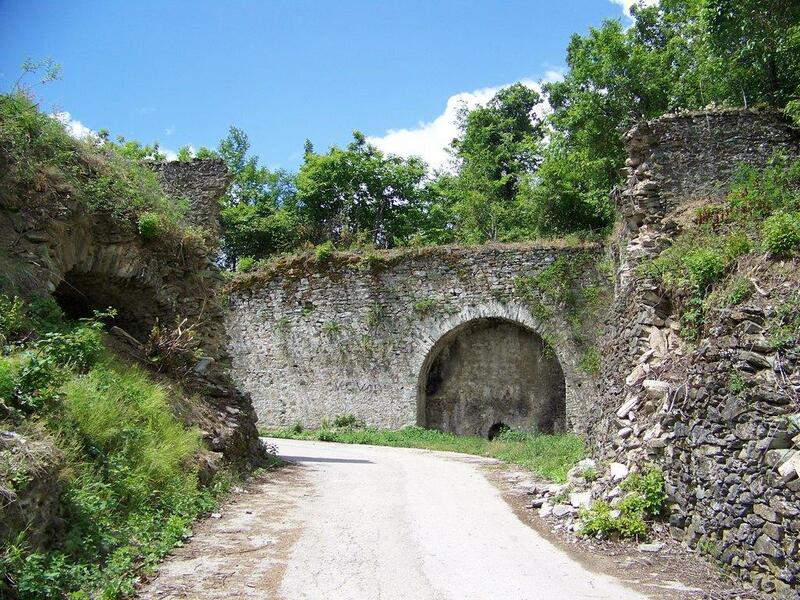 On the western end of the surrounding wall a new entrance was made towards the river Vardar, as well as a new main access to the Fortress through a monumental ramp and a gate which led from the sub-city area – the Bazaar though the old eastern wall. 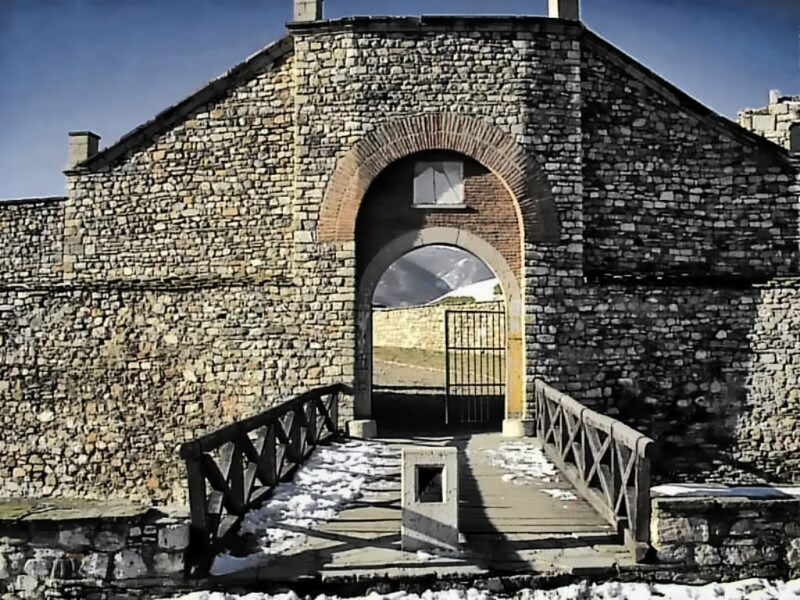 The old southern gate lost its previous significance.The archaeological finds document continuation of the military character of the Fortress. Near the south-eastern tower remains of blacksmiths were found and by them pieces of old guns, prepared for melting and reforming. Many of the pieces were half melted. Frequent finds from this period are the numerous ceramic pipes. At the end of World War I, in 1917-18, the Kale was seat to the headquarters of the Austrian army. Traces of this stay are discovered in the topmost layers of the Kale in the form of guns and other small military. 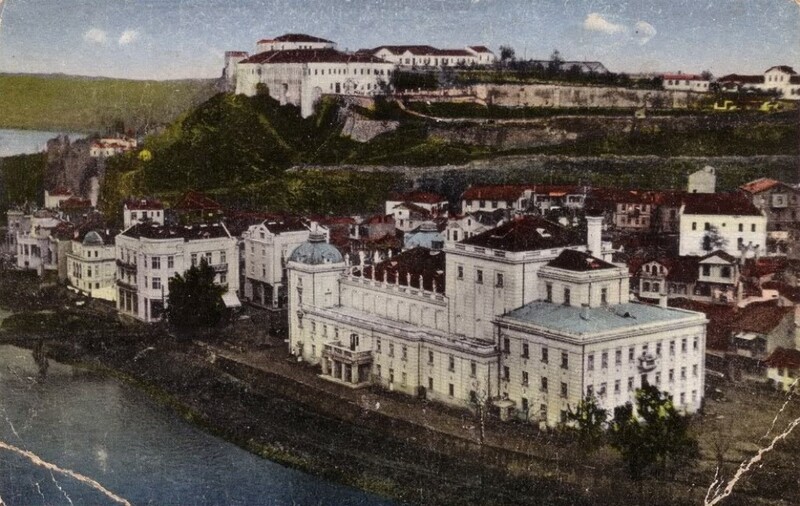 After the formation of Yugoslavia, in the period between 1921-1930, about 10 massive military buildings were built on the Kale: general staff headquarters, barracks, warehouses and other. These occupied the place until 1951 when the army was withdrawn from the Kale, and the buildings were taken over by the Archaeological and Historical Museum. In the earthquake of 1963, all of these buildings were demolished forming a debris layer with thickness up to several meters at points. With our excavations we found the foundations and basements of these buildings. Some of them were preserved in testimony of the youngest life stage of the Skopje Fortress, before the disastrous earthquake from 1963.